سواءً كنت مسافراً بغرض السياحة أو العمل, Elm Tree Motel هو خيار عظيم للإقامة خلال زيارتك وارنامبول. يمكن من هنا للضيوف الاستمتاع بسهولة الوصول إلى كل ما تقدمه هذه المدينة النابضة بالحياة. إن سهولة الوصول من الفندق إلى المعالم السياحية الشهيرة الكثيرة في المدينة كمثل Warrnambool Physiotherapy Centre, Botanical Gardens, Capitol Cinema هو استثنائي بحد ذاته. إن الخدمات التي يقدمها Elm Tree Motel تضمن للنزلاء إقامة مريحة. يقدم الفندق فرصة للاستمتاع بشريحة واسعة من الخدمات بما فيها: مكتب الاستقبال على مدار الساعة, خدمة الغرف على مدار الساعة, تسجيل وصول/خروج سريع, تخزين الأمتعة, صف السيارات . تتضمن كل غرف النزلاء وسائل الراحة والتسلية المصممة خصيصاً لضمان الراحة القصوى للضيوف. يقدم الفندق مجموعة رائعة من الخدمات كمثل حديقة، لجعل إقامتك تجربة لا تنسى. يحظى فندق Elm Tree Motel بموقع ممتاز وخدمات يصعب منافستها. تُفرض رسوم ضرائب إضافية من بطاقة الائتمان نظير إجراء أي تسوية إضافية بالعقار. 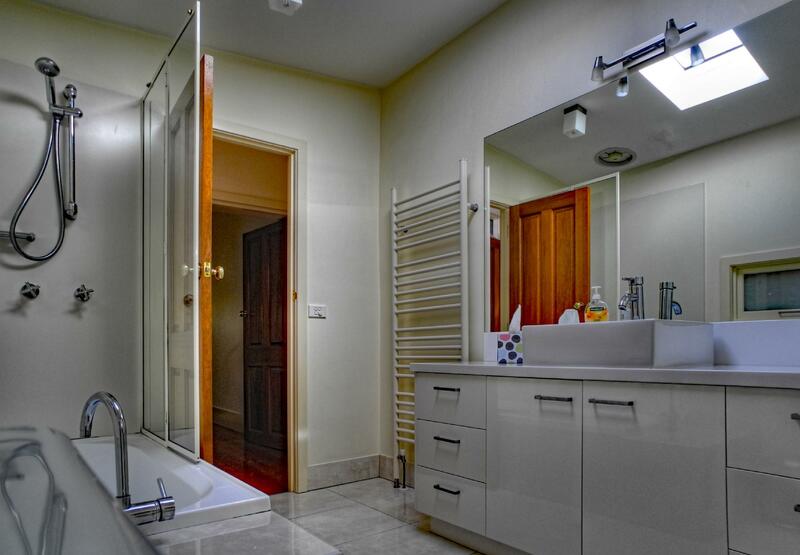 Stayed at a 2 bedroom with a huge modern bathroom which was so clean that the metal sparkle. And the service at the reception was excellent as a brief explanation of the attractions and eateries was provided. Will certainly revisit and stay in this place longer to enjoy the good service as the location is good too. Was looking for a place to stay after a planned long drive down from Melbourne to the Great Ocean Road as well as a drive down to Grampians the next day and found this perfect place to stay for two nights. The host was extreme hospitable and didn't seem to mind a bit that we came in late in the night, and the rooms looked newly renovated and were very very well maintained (as good as new). I would have stayed for a couple of days more if not for another accomodation booked in the city. Would definitely recommend my friends and relatives to this amazing motel! We stopped by Warrnambool during our GOR road trip.. Great choice we'd made to stay at Elm Tree.. Location is fantastic with lots of restaurants nearby and to gateway plaza in just 5 mins drive.. The room is big clean and well organised with modern designs.. Loves the rain shower! Last and most importantly, the owners are so lovely and helpful! Had a great authentic thai meal with recommendation by owner.. The only regret we have is we didn't stay more nights at Elm Tree! Reasonable space and clean room for a couple night stay. Staff was friendly and recommended places of interest and dining places. We stayed here one night on our trip Along the GOR, The motel room was lovely and the bathroom was massive. Very clean and modern! The owners went out of their way to tell us about the town, where to visit and eat and also helped us clean the car windscreen! 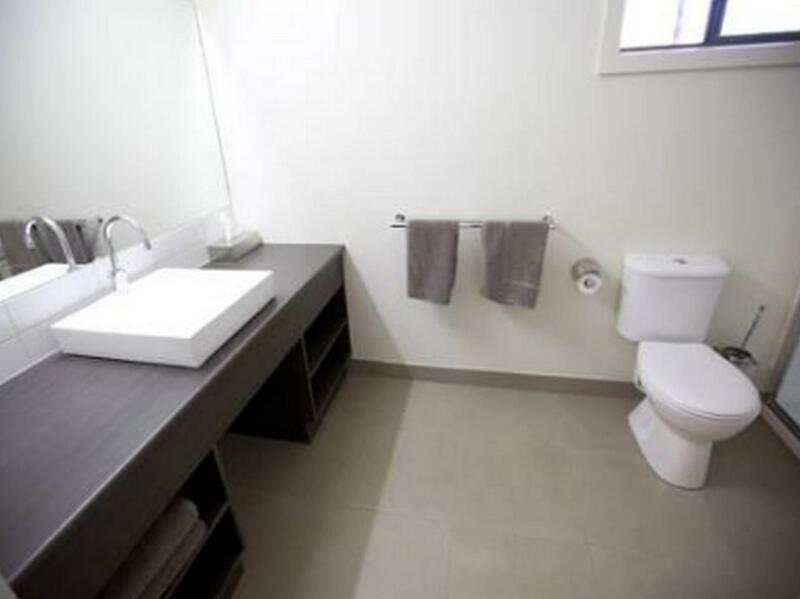 The motel is situated within walking distance of the town but in a great position to get on the road early. Stayed for one night here on route from Adelaide to Melbourne .Easy to find as it’s just of main route very close to shops and not far to waterfront five minutes by car or a twenty minute walk. Nice sized room very clean and tidy ,shower was excellent . Despite it being near road it was very quite at night never heard any passing traffic. Would definitely reccomend to others . We spent two nights here in a 2BR that was clean, had good WiFi, and some design. The perfect location for exploring everything from The Twelve Apostles to Port Fairy. The owners suggestions for restaurants were spot on. We will come back again. 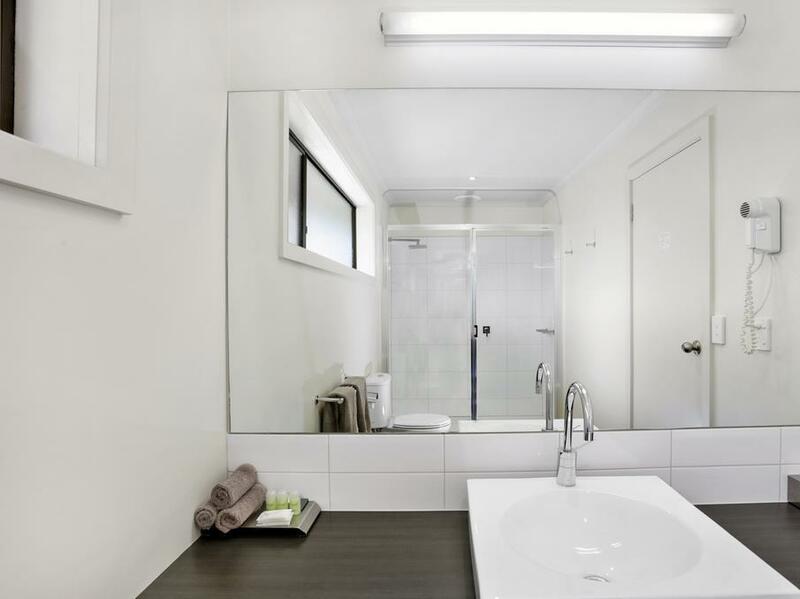 An motel run by kiwis is bound to be good, and The Elm Motel was no exception. Had everything we needed for a night's stay on our Great Ocean Road trip. 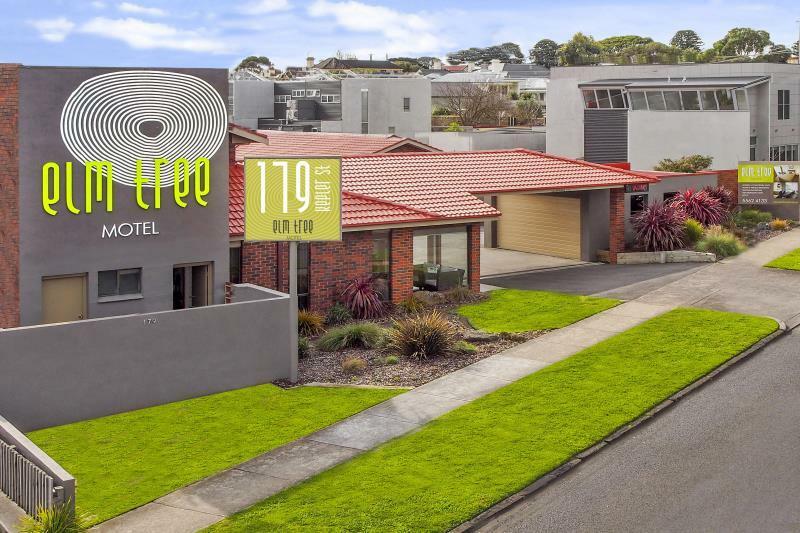 Walking distance to the lovely Warrnambool Hotel, a lovely pub for dinner drinks and pool, and very close to the town's cafes and shops to stock up on anything needed. Can't fault it. Clean, easy to find. Simple room with great hospitality, welcomed by very friendly owner who suggested great places to visit. Very new and clean room. Was extremely happy with the bed warmer feature I have never seen in other hotels. Great place in town, and free parking. Wonderful, will certainly stay here again if we do come back! Thanks! This motel exceeded our expectations in every way. The room was modern and spotlessly clean. The bathroom was spacious and the towels thick and fluffy. The shower was huge with excellent water pressure. There is a heat pump for comfort in every season. There were dishes and cutlery provided (as well as tea and coffee making facilities) which is a useful extra. The owners were very welcoming, friendly and helpful. The shopping area and many restaurants are within easy walking distance. And our stay was not expensive! I would thoroughly recommend booking this motel for your stay in Warrnambool. Friendly & helpful hotel owner. He can provide very good food and interest places around that area. 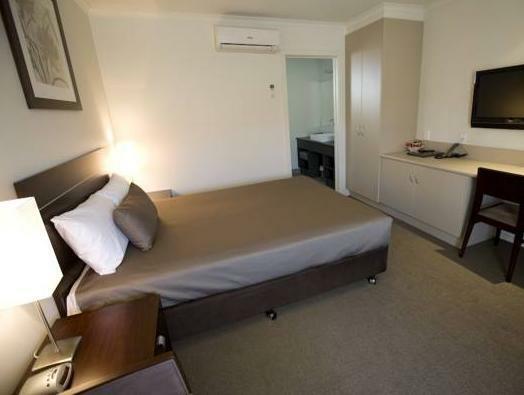 Very clean and comfortable room, big bathroom, fairly new and modest hotel. Car parking can be just in front of your room. Have plasma TV and very tiny fringe. Although it is located behind a fast food outlet, it was surprisingly quiet after about 10pm. & It's within a 5 minute walk to the Main Street & nearest coffee shop. We'd stay again for sure. If it has a drawback I think the price was a bit high for a country motel at $168 per night and the car parking was very tight, with some guests deciding to park out on the street. Very nice and cosy rooms. The owners were very helpful and warm too. They provided good information despite our short 1 night stay. The owners are very friendly and helpful. The room is spacious, neat and very clean. There are also many amenities nearby the motel. I would definitely go back there if I am in Warrnambool. 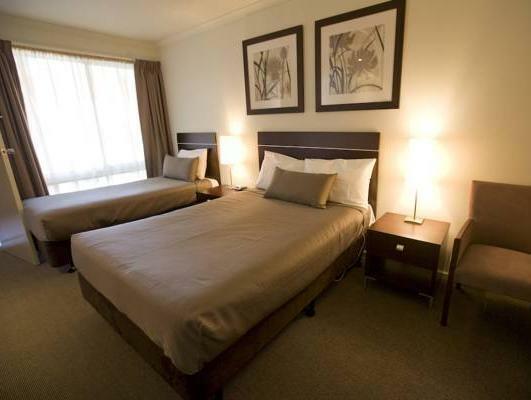 Elm Tree is a nicely equipped modern place to stay and a good base to explore the area. We received a warm welcome and lots of good advice about what to see and places to eat. Highly recommended. A good motel. Just off the highway, so quieter than expected. Very comfortable bed. Charming owner/manager.